Can anyone beat Greg Abbott? It’s early days and all that, but the evidence at hand now isn’t positive. The reason for that is fairly simple. A poll circulating among the state’s Democratic leadership—which I was given on the agreement that I would not identify its source, but I have confirmed the information with additional Democratic operatives—shows Abbott is currently the most popular politician in Texas, with less than 30 percent of the state’s voters viewing him unfavorably. If the election had been held when the poll was conducted this summer among 1,000 registered Texans likely to vote in 2016, Abbott would have received 49 percent of the vote, and a Democrat to be named later would have scored 38 percent. That’s about the same percentage of the vote Democrat Wendy Davis received in her 2014 loss to Abbott. The poll also notes that Abbott’s name identification among voters was 91 percent. Castro’s was 44 percent. It was not a general survey of voters, because it oversampled Hispanics and voters in some targeted state House districts. About 37 percent of the respondents were Democrats, 19 percent independents, and 44 percent Republicans. I only received a portion of the survey relating primarily to Abbott and the president, but it seems to show that the Donald Trump effect that Democrats have been hoping for is missing in Texas. Although the president’s personal favorable/unfavorable rating and job approval is about even, Abbott’s job approval was 61 percent, followed by U.S. 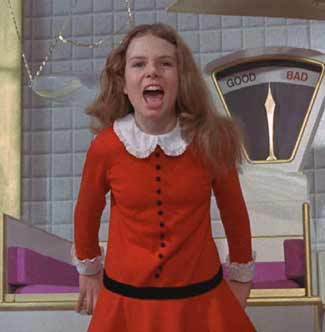 Senator Ted Cruz at 55 percent. Not to mention that a whopping 76 percent of Texans had a positive view of the state’s economy—a key metric for incumbents. Still, these numbers are in no small part because Abbott is Governor Bland. When asked whether he has ever done anything to make respondents proud, half said no, while less than 40 percent said yes. Has he ever done anything to make you angry? Sixty-seven percent said no. The poll did produce some useful takeaways for Democrats though. For instance, 82 percent of poll respondents said the Legislature spends too much time on issues like the bathroom bill. President Trump’s health care proposals and plan to build a wall on the Texas border were opposed by half of those surveyed, and 65 percent said the state’s Medicaid program should be expanded to provide health care to more people. Fifty-eight percent opposed dividing families to deport undocumented immigrants, but support for the sanctuary cities law was split 40-40. The remaining 20 percent had no opinion. But the biggest problem for Democrats with Abbott is that a sacrificial lamb candidate, or even a wealthy candidate who runs a poor campaign, can have a negative effect on candidates in down-ballot races. So the other idea is to skip the governor’s race to concentrate on incumbents such as Patrick and Cruz. CPA Mike Collier, who ran an unsuccessful race for comptroller last year, has announced against Patrick, who is closely linked to the unpopular bathroom bill. There also are other potential down-ballot state races where the incumbent might be vulnerable, such as Agriculture Commissioner Sid Miller, who has been making bad publicity a habit. Republican Attorney General Ken Paxton is under indictment on securities fraud charges, and I’m told several attorneys are looking at mounting a challenge against him. Paxton’s trial is scheduled to begin jury selection on the same day as the party primaries filing deadline, December 11. That’s from RG Ratcliffe, and I trust his reporting. The UT/Trib polls have always shown Abbott to be more popular than his peers, and I think Ratcliffe nails the reason why – Abbott is as dull as cardboard, so he gets the credit for things that people like without carrying the weight of being the villain, like Patrick or Cruz. I note that Ratcliffe has nothing to add about those two, which may be because the poll in question didn’t include them or possibly because he was not given clearance to talk about that stuff. I fully expect that the numbers look better for Dems against those two, though “better” does not mean “good enough to realistically think about winning”. All one can do here is speculate. Ratcliffe suggests the best case scenario for Dems at the state level is for a self-funder to get in and spend enough to be competitive, at least in that category, with Abbott. I’ll wait to see who such a person may be and what he or she has to say about the issues before I sign off on that. An interesting question is what Abbott will do if he doesn’t have to spend much if any of his campaign fortune to get re-elected. Will he drop $20-30 million on a general get-out-the-Republican vote strategy, in the name of holding on to competitive seats and making gains where they are makable while maybe also knocking off some “RINOs” in the primaries, or will he prefer to hoard his gold, for the ego boost of seeing big numbers next to his name and to scare off the competition in 2022? I don’t know yet what I think the effect of Abbott being functionally unopposed will be on other races. Patrick and Paxton and Miller all present fairly large attack surfaces, and of course Beto O’Rourke is doing his own thing and continuing to get favorable national press for his campaign. And for what it’s worth, O’Rourke isn’t sweating his lack of company at the very top of the ticket. U.S. Senate hopeful Beto O’Rourke said this week he isn’t worried that Democrats haven’t found a viable candidate to run for governor of Texas. [TDP Chair Gilberto] Hinojosa and other Democrats insist they will have a candidate to run against Abbott. The filing period for the 2018 elections closes in December. O’Rourke hopes there will be a full, qualified slate. I mean, what else is he going to say? It’s not a problem until it is, I suppose, and that will happen when and if the first slew of crash-into-reality polls start coming down. Until then, Beto’s got his own fish to fry. The short answer is “pretty much anyone”, but there are several names that are on top of everyone’s list of imagined candidates. At least three members of the U.S. House are mulling a run for a possible U.S. Senate vacancy, should President Donald Trump appoint U.S. Sen. John Cornyn as the new FBI director. See here for the background, and remember that this is all Wild Speculation. As I said before, this would be a free shot for any incumbent, so of course it makes sense for Joaquin Castro to look at it. The same is true for Beto O’Rourke, who can argue he’s already running a Senate campaign now, so he’d have a leg up. I would have a preference for Castro in this case, in part to ensure that we still have someone to run against Ted Cruz next year, but the main consideration would be having just one of them in and not both. This is because a race like this will almost certainly go to a runoff, and the odds of having a Dem in the runoff are better with one consensus candidate among a gaggle of Republicans than more than one Dem splitting the vote. Again, we are getting way ahead of ourselves, and it’s not like anyone can stop someone from running if they want to, but if it were up to me we’d have Joaquin Castro in the race with Beto O’Rourke staying focused on 2018. He announced the decision in an email to supporters Monday, saying he wants to remain focused on his work in the House. The decision leaves U.S. Rep. Beto O’Rourke, D-El Paso, as Cruz’s main competition. Castro, seen as a rising star among Texas Democrats, had been mulling a Senate run for several months. In recent weeks, he promised to announce his decision by the end of April. As recently as last week, he was non-committal to House colleagues. As you know, I am not surprised by this. I’ve said all along, Castro would be giving up a lot for what is at best a longshot bid for the Senate, and now he’d have to win a primary against someone who got there first just to be able to make that longshot bid. It just didn’t add up, and that’s before you throw the possibility of being part of a Congressional majority in 2019. Life is full of unquantifiable risks and decisions that have to be made on insufficient evidence. Whatever Castro chose would have been understandable and defensible, and whatever he chose will open him up to criticism. I respect the decision he made as I would have respected the decision he didn’t make, and I wish him the best. Maybe we’ll see him on the ballot for Senate in 2020. In the meantime, get on the Beto train. He’s going to need everyone’s help next year. RG Ratcliffe and the Chron have more. Getting to be close to decision time. After U.S. Rep. Joaquin Castro wrapped up speaking here Wednesday, completing the latest stop on his statewide tour ahead of a potential Senate run, one man in the crowd turned to another and voiced some ambivalence. It’s the question hanging over the San Antonio Democrat as he nears an announcement on his plans for 2018: Is it worth giving up his seat in Congress, where he has had a steadily growing profile, for a long-shot challenge of Cruz, particularly when another Democrat, U.S. Rep. Beto O’Rourke of El Paso, is already running? O’Rourke, for his part, has plowed ahead full-steam with his campaign as Castro continues mulling a run. Since announcing his bid on March 31, O’Rourke has held campaign events in 12 cities across the state. He is scheduled to hit another seven cities through Monday. 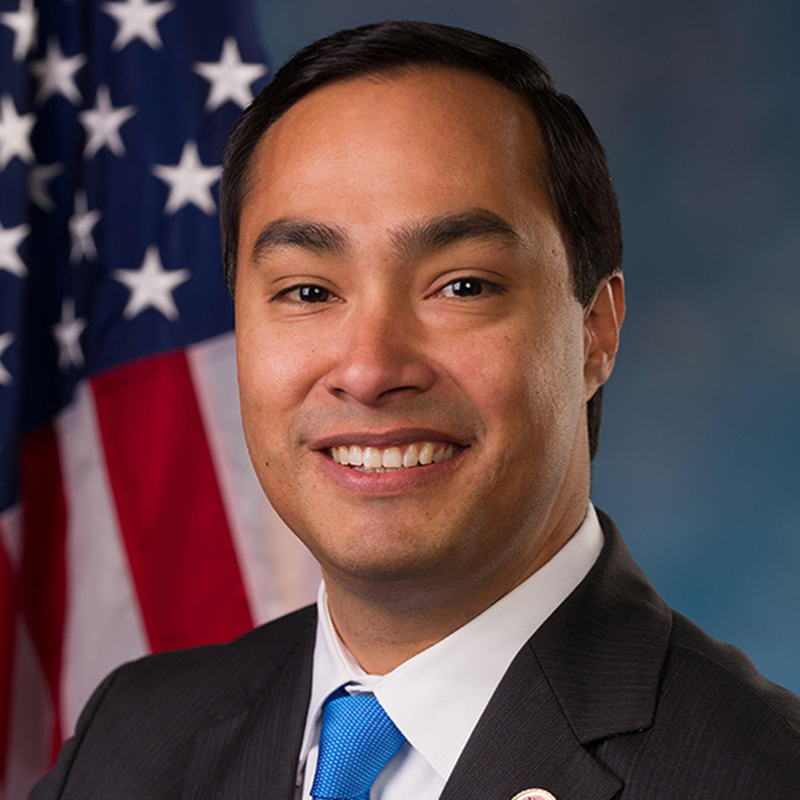 Castro has made public appearances in at least five Texas cities during the same period, including four outside of his congressional district. At the same time, however, O’Rourke has shown awareness that a strong start to his campaign could have an impact on the trajectory of the primary. The encouragement is “less about anyone else than our effort,” O’Rourke said Friday. My guess continues to be that Castro will not run. If the Dems retake the House, he ought to be in a position to be far more influential there. It’s not clear that he would be anything other than a longshot to win, or that he would be any less of a longshot than O’Rourke. On the other hand, it may be a long time before conditions may be as favorable for a win as they appear to be today, and when they are that favorable again there will be others jockeying for position to take advantage of it. I don’t know what the “right” answer is for Rep. Castro, but whatever it is we ought to know it soon. A primary showdown between two well-liked and well-funded Democrats would add an extra layer of time and money for [Rep. Beto] O’Rourke and potentially [Rep. Joaquin] Castro – and could make it easier for Cruz to brand the winner as an out-of-touch liberal if O’Rourke and Castro need to spend time winning over the state’s liberal base. Rottinghaus brought up the 2002 election, in which former Dallas Mayor Ron Kirk won a four-way Democratic primary to challenge Sen. John Cornyn for an open seat at the time. While Republicans were united behind Cornyn’s ultimately successful bid, Democrats were divided by geographical and ideological interests that made it harder to win the general election. In recent years, big-name Democrats have largely stayed out of one another’s way in statewide races. 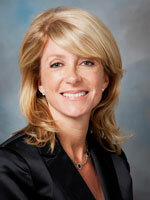 State Sen. Wendy Davis of Fort Worth faced nominal opposition in her 2014 gubernatorial bid against Greg Abbott, which she lost. Democrats did not contest primaries in races for lieutenant governor or attorney general. 1. I dispute the notion that a contested primary is necessarily a “good” or “bad” thing for a party’s chances in November. I certainly disagree with the assertion about the 2002 Senate primary. For one thing, it was mostly overshadowed by the Tony Sanchez/Dan Morales gubernatorial primary. For another, Ron Kirk was one of the better-performing Democrats, getting a higher percentage of the vote than any Dem after John Sharp and Margaret Mirabal. I’m gonna need to see some numbers before I buy that argument. Plenty of candidates have won general elections after winning nasty, brutal primary fights – see Ann Richards in 1990 and Ted Cruz in 2012, to pick two off the top of my head. I’ll bet a dollar right now that if Ted Cruz is re-elected next year, a primary between Beto O’Rourke and Joaquin Castro will be very low on the list of reasons why he won. 2. We don’t know yet if Castro will run or not – he says he’ll tell us later this month. As was the case last week in Dallas, Castro has made multiple appearances at events with Beto O’Rourke, which for now at least has kept everything nice and civil. I’ve said that I don’t think Castro will give up his safe Congressional seat and increasingly high profile within the party for what everyone would agree is a longshot run against Cruz. (Though perhaps somewhat less of a longshot if the political conditions from that Kansas special election persist through next November.) If he does, however, and especially if he does in the context of having to win a March election first, then I’d suggest it’s because he thinks his odds of winning are better than the current empirical evidence would imply. Maybe he’d be wrong about that, but I believe if Castro jumps in, it’s because he really believes he can win, above and beyond the usual amount that candidates believe. 3. Whatever Castro does, I do hope Beto O’Rourke faces at least one primary challenger, even if that’s a fringe or perennial candidate. I want him to take it seriously and begin engaging voters as soon as possible. As I said before, I was wrong to be dismissive about the 2014 primaries and what they meant for that November. Whoever else runs, I prefer to see this primary as an opportunity and not a threat. We should know soon if there are two Democratic challengers to Sen. Ted Cruz. A grinning Castro said he would make a decision on a Senate campaign by the end of April. Meanwhile in Fort Worth, U.S. Rep. Beto O’Rourke of El Paso, already a candidate to challenge Cruz, was making his pitch to Cowtown voters. The potential of two Democrats vying to meet Cruz in an uphill battle has the party faithful excited. Cruz is the most popular Republican in Texas, and beating him will be tough for anyone, let alone a Democrat in a GOP-controlled state. Quarles said the fresh faces of Castro and O’Rourke would inspire younger voters who have grown tired of the same faces that often discourage new involvement in the political process. 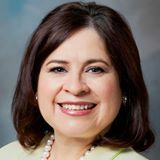 State Rep. Victoria Neave, who in 2016 upset incumbent Republican Kenneth Sheets in Dallas-based House District 107, said voters were excited about both candidates. I’ve discussed the primary question before, mostly in the context of it being Beto O’Rourke versus some nobody or nobodies that he could (hopefully) crush as a warmup exercise. A primary against Castro would be a whole ‘nother thing. No question, it would energize a lot of people, it would bring a ton of attention to the Democratic ticket, and it would be great exposure and experience for the winner, and quite possibly for the loser if he’d consider a 2020 challenge to John Cornyn as a Plan B. And right now at least, everyone is being cordial and focusing on the big prize. Castro and O’Rourke have been appearing at events together and openly talk about their respect for each other. But let’s not kid ourselves, primaries are competitions in which someone wins and someone loses, and the more competitive it is the harder and more personally everyone takes it. This isn’t an argument against Castro getting in – by all means, if that’s his intention, he should go for it – just a reminder that the laws of primary elections have not been repealed. Whatever people are saying now, if Castro/O’Rourke does happen, they will all be glad when it’s over. He says he’s going to run a different kind of campaign. We’ll see what that means. His aim, he said, is to campaign beyond urban strongholds in a case-by-case basis. In a 38-minute long interview the day before his official announcement, it was apparent that O’Rourke was not going to make his campaign all about Cruz – a temptation given the senator’s polarizing image among even some in his own party. O’Rourke never once mentioned Cruz by name or directly criticized his potential rival. Instead, he focused on topics like immigration, the border, and advocacy for his hometown. Nationally, Democrats have no appetite at this point to spend serious money in Texas, and O’Rourke is not accepting money from political action committees. 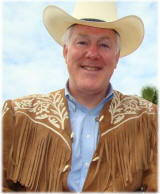 He, like all federal candidates, has no control over whether a super PAC opts to get involved. But anyone opposing Cruz is a likely magnet for angry liberal dollars. And O’Rourke could have the makings of a Bernie Sanders-type fundraising operation. He is one of the most adept politicians when it comes to social media and was an early adapter of building a following with Facebook Live, a means of broadcasting events through that website. The results of those efforts are often viral frenzies. Most recently, his bipartisan road trip with U.S. Rep. Will Hurd, R-Helotes, earned both men a storm of positive publicity. So much so, that a handful of Republican operatives in Washington began to sit up and watch O’Rourke more closely. O’Rourke, however, spent much of his time in the lead up to Friday’s announcement in mid-sized towns, including: Wichita Falls, College Station, Killeen, Lubbock, Midland, Waco, Corpus Christi and Odessa. O’Rourke said he had expected a few dozen attendees at each of these events. Oftentimes, over a hundred people showed up, having heard of the event through word-of-mouth or Facebook. The larger aim is to look beyond the cities and take his case to rural voters. The idea is not to win those regions, but to lose less-badly. Here’s the Beto for Texas website, if you haven’t seen it yet. O’Rourke has some things going for him. He has already generated a fair amount of excitement on the progressive side, partly for who he is and what he’s done in Congress and partly because he’s running against Ted Cruz, and I do think that will help him raise money. In particular, it will help him raise money in a way that frees him up from the time-sucking drudgery of dialing for dollars, which in turn will mean more time for the mind of retail politics he wants to do. He’s fluent in online communication. Most of all, he’s genuine and comfortable in his own skin, which presents a good contrast to a giant phony like Cruz. To that extent, the retail strategy and the visiting places outside the usual Democratic sweet spots makes sense. I have no doubt that there are plenty of people in those places that will show up and vote if they feel they have a reason to do so. Not enough of them to win, of course, but it’s a start. Spend some time in the suburbs – Fort Bend, Williamson, Collin, Brazoria, you know the drill – and the formerly rural places that are becoming increasingly suburban – Hays, Bastrop, Guadalupe, Comal – and I think you’ll be on to something. As for whether O’Rourke waltzes to the nomination or has to win a contested primary, I’ll say this: Even if the primary is just O’Rourke and one or more no-names, possibly including the likes of Grady Yarbrough, I say O’Rourke should campaign hard and do everything he can to win convincingly and with as big a turnout as possible. In 2014, I basically shrugged off the lackluster Democratic primary and argued that the low turnout and 22% of the vote that Ray Madrigal got against Wendy Davis meant nothing. I still don’t think it was that big a deal, but it wasn’t nothing. Right now, O’Rourke is a positive, scrappy-underdog-with-a-history-of-beating-expectations story. A lackluster showing in the first opportunity that people will have to vote for him will not look good and will not keep that story going. And if he winds up with a more high-profile primary opponent, like Joaquin Castro, then the primary will give us all a chance to see how he does on the big stage. Until he has a March opponent, he has the limelight to himself. I hope he uses it for all he can and begins to build something that will grow and accelerate towards next November. RG Ratcliffe has more. O’Rourke’s campaign team sent an email to supporters Wednesday morning revealing that “a big announcement” was coming Friday. O’Rourke has spent the past several weeks traveling the state and has said in recent weeks that he is likely to launch a bid for U.S. Senate. Multiple Democratic leadership sources on Capitol Hill have been operating under the assumption that an O’Rourke Senate campaign is inevitable. I’ve been following this for awhile too, so this comes as no surprise. This Express News story, republished in the Chron, goes into some details. Cruz’s bid for the White House, however, helped him build a formidable grass-roots and fundraising base that would be hard for O’Rourke or any other Texas Democrat to replicate. Cruz ended 2016 with a $4.2 million war chest, more than 10 times the $398,700 that O’Rourke’s congressional campaign had in the bank. Compounding O’Rourke’s fundraising challenge is his unfamiliarity to Texas voters outside his El Paso district. O’Rourke has sought to overcome that deficit through a series of rallies and meetings around the state. His biggest assist, however, may come from Cruz himself. As a self-styled conservative movement leader, Cruz has established himself as a favorite target for the left. “I can see O’Rourke using that to raise money online” from small-dollar donors, said Geoffrey Skelley, an analyst at the University of Virginia’s Center for Politics. Another bright spot for O’Rourke, Skelley said, was Hillary Clinton’s nine-point loss to Trump in Texas, the smallest statewide margin since the 1996 presidential election. With Democrats defending 25 senate seats next year – 10 of them in states Trump won – it will be hard for any Texas Democrat to attract big-dollar national contributors, whose resources may be needed elsewhere. Some speculate O’Rourke could be playing the long game. “What if he loses but puts in a good showing, gives Ted Cruz a run for his money?” Skelley said. As it happens, Democrats around the country are doing exceedingly well with grassroots fundraising this year, so it’s entirely plausible that O’Rourke could catch some of that. He may not have a high profile now, but the combination of going after Ted Cruz and having a record in Congress that ought to be appealing to those who respond to Democratic grassroots fundraising appeals should help him. Today marks the end of the first quarter fundraising period, so O’Rourke won’t have to post a finance report as a Senate candidate until July, giving him three months to make a good first impression on that score. We’ll need to keep an eye on that. The other big question, which both articles raise, is What Will Joaquin Do? Rep. Joaquin Castro, who of course has also expressed an interest in running for Senate, has said that O’Rourke’s decision will have no effect on his own. I don’t quite buy that, because O’Rourke will most likely have some momentum once he announces that Castro won’t have, and no one wants to run a race they don’t think they will win. Of course, O’Rourke may stumble out of the gate, which could push Castro towards a run. I still believe that Castro has more to lose by giving up his seat, and that one or the other may jump into this race but not both. I could be wrong, but right now my money is on Castro staying put. RG Ratcliffe and PDiddie have more. UPDATE: And here’s Beto for Texas. What might it take to beat Ted Cruz? Roll Call considers the question. As Democratic Rep. Joaquin Castro mulls a challenge to Texas Sen. Ted Cruz, Democrats and Republicans both say it would be a tall order in a deep-red state with little Democratic power. “I think what Joaquin would have to do right is to begin with a premise that Texas Democrats have no idea how to run a statewide race,” said Colin Strother, who has worked on campaigns for Castro and his twin brother Julian, a former Housing and Urban Development secretary and San Antonio mayor. Banking on a lagging Cruz would not be a sound strategy, experts say. While the first-term GOP senator has developed a reputation of being disliked by some fellow Republicans — Arizona Sen. John McCain famously called Cruz and his allies “wacko birds” — he still has plenty of political support in Texas. “Cruz is nothing if not calculating and he has a voracious appetite for politics,” Strother said, pointing to his 2012 upset win over Lt. Gov. David Dewhurst in the Republican Senate primary when Dewhurst had the support of Rick Perry, the state’s governor at the time. Okay, it’s not a very deep consideration, but that doesn’t mean we can’t pick it up. The article focuses on Joaquin Castro even though Beto O’Rourke seems like the more committed candidate at this point, but that isn’t important for our purposes. I say there are three factors to watch for that could affect either candidate’s chances. 1. Solving the Democratic turnout problem – We’ve discussed this one ad infinitum. Off year turnout has been flat for Dems since 2002, even with a significant bump in Presidential year voters in 2008. There are signs that Democrats are more engaged now than ever before, and if that continues it’s all to the good. But even if that continues to be the case, it’s just a floor and not a ceiling. Getting those engaged and need-to-be-engaged voters to the polls is the key. Whatever a “state of the art, modern, professional field program” looks like – maybe it’s the TOP model taken statewide, maybe it’s something else – we need that. 2. Getting some help on the Republican turnout side – As with item #1, the possibility exists that Republicans will not be terribly enthused about going to the polls next year, as was the case in 2006. Trump’s already mediocre approval numbers depend entirely on rabid Republican support. It wouldn’t take much to drop him into truly perilous territory. One of the many ongoing scandals could finally take a toll, or perhaps a spectacular failure with Obamacare repeal might do it. Trump has been operating without a net for a long time, and the Republicans have largely followed along. If it all comes crashing down, it’s going to be catastrophic for them. 3. The Dowd factor – I don’t think much of Matthew Dowd’s announced interest in running for Senate as an independent, but it could happen. If it does, the main effect will be to lower the number of votes needed to win. For example, in a straight three candidate race, if Dowd takes 20%, the number to win becomes 40% plus one. That’s a number Democrats can reasonably reach without anything else happening, and Dowd would presumably take more votes away from Cruz than he would from Castro or O’Rourke. Things get complicated quickly, and I don’t want to be overly simplistic or optimistic, but the bottom line remains that having Dowd in the race would mean a closer vote target to aim at. A lot of this is highly theoretical – no one has officially announced a candidacy yet, and we’re still a year away from the 2018 primaries, let alone the general. But until then, these are things to think about.